The North Alabama SolidWorks Users Group (NASWUG) is proud to announce our February 2015 NASWUG meeting. The meeting will be held Tuesday, February 24, 2015 from 1100am to 1:00pm at Redstone Lanes. Please join us as Brad Williamson, Territory Technical Manager, SolidWorks, NA South, will give a demonstration of SolidWorks Composer. SolidWorks Composer enables repurposing of existing 3D design data to rapidly create and update high-quality graphical assets for use in technical communications (such as product manuals or assembly instructions), illustrations, and interactive animations. To RSVP, please click here. You do not have to print tickets, if prompted. 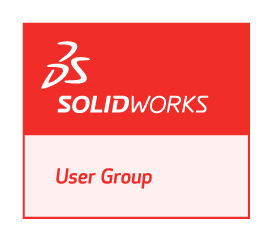 The North Alabama SolidWorks Users Group (NASWUG) is proud to announce our January 2015 NASWUG meeting. The meeting will be held Tuesday, January 27, 2015 from 5:15pm to 7:00pm at the Dynetics Solutions Complex. Please join us for a special presentation featuring Jim Worth, Engineer with Rapid Sheet Metal. Mr. Worth will demonstrate some of the basics and best practices of designing sheet metal parts, show some sheet metal tips and tricks, and cover The Rapid Group’s websites and the multiple resources they provide. Please check our website for more details or click HERE to sign up. You do not have to print tickets, if prompted.